Clinique smart custom repair serum was created as a serum that adapts to your own needs, so it will react differently for different people. I have been using this on my nose as it has been really dry recently and I also tried it on my forehead(another area I often suffer with dryness). It didn’t feel too sticky as often serums can. It seemed to soak in really quickly and by morning my face felt a lot better. 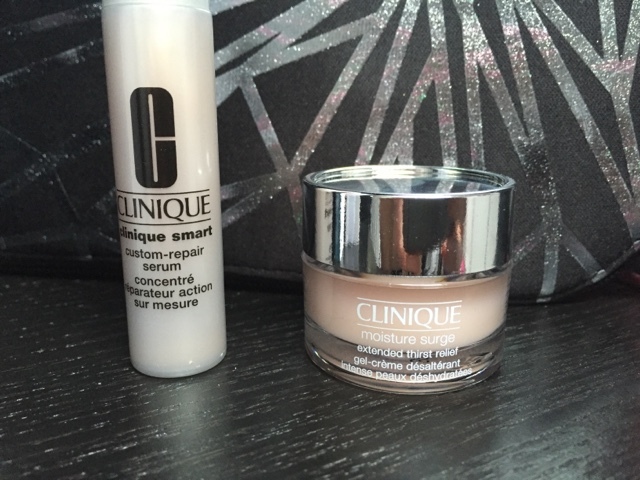 I used the Clinique moisture surge extended thirst relief all over my face ( I always moisturise after my serum) and it really seemed to help. Even if you suffer oily skin it is still important to moisturise. This left my face really soft in the morning (I applied both products before bed).